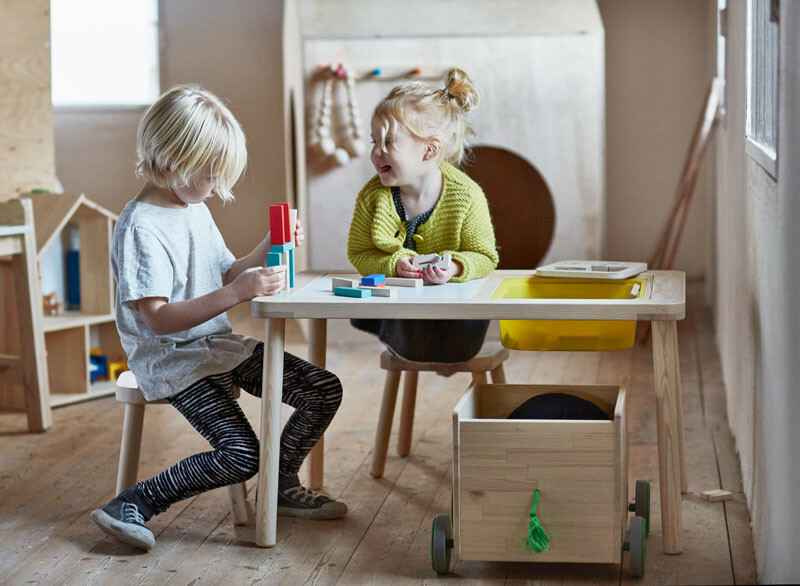 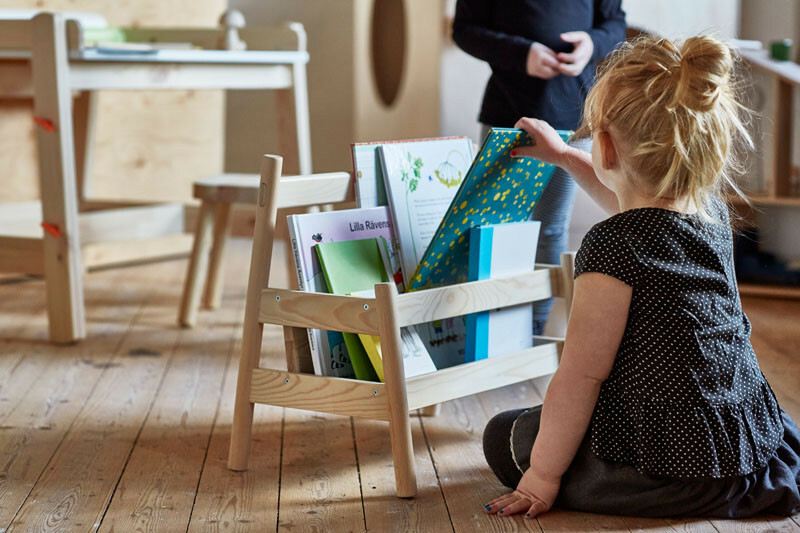 IKEA have released images of their new FLISAT series of children’s furniture and storage, that will be arriving in stores in April, 2016. 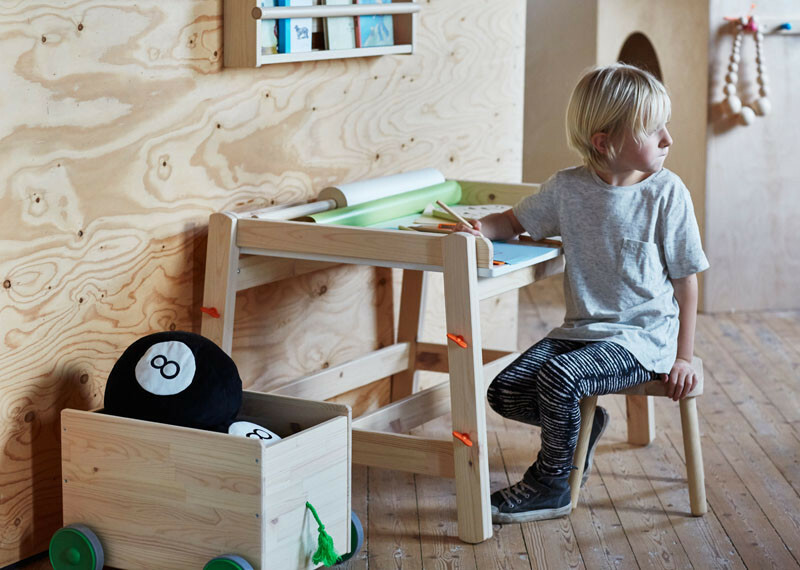 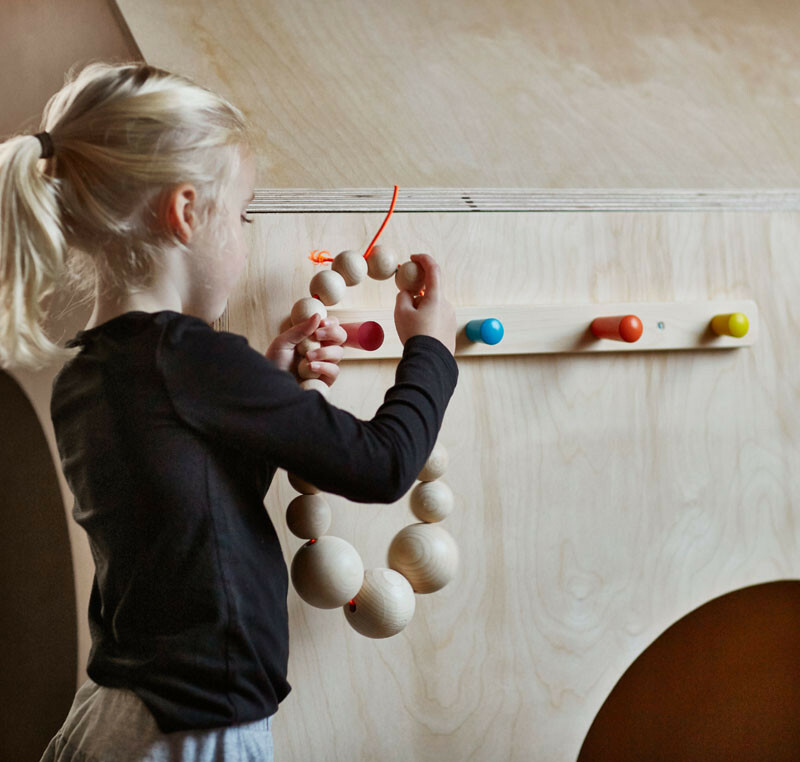 The collection of small furniture has been designed to grow as the child grows. 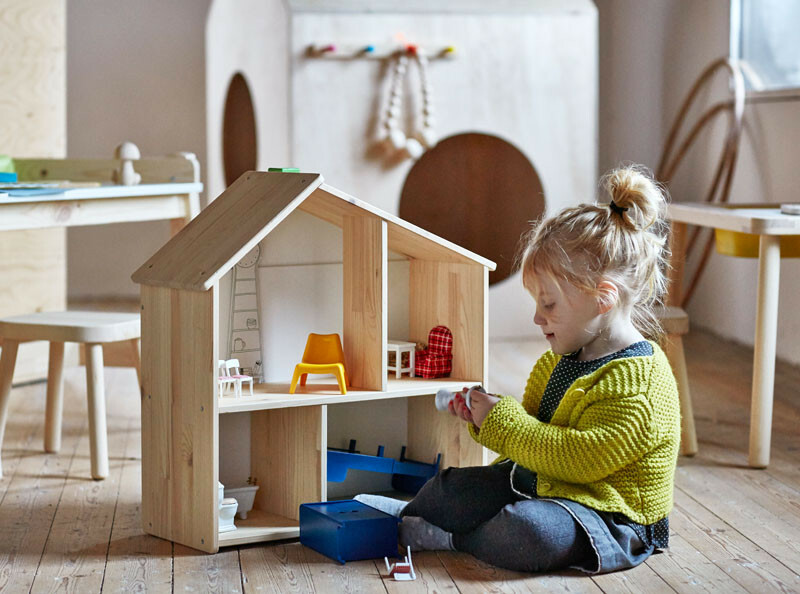 For example, as the child grows and no longer plays with the doll house, it can then be hung on a wall and used as a shelf. 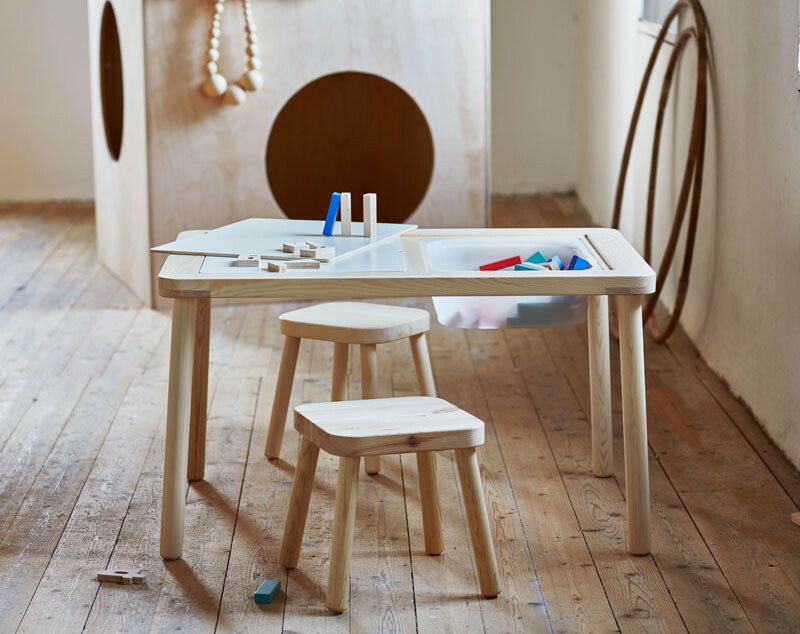 Or this desk, that can be tilted and adjusted to three different heights. 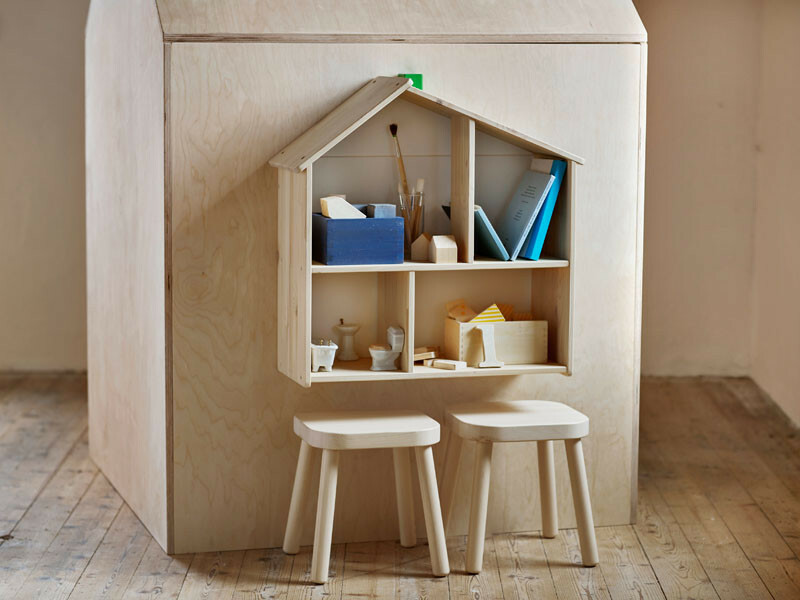 The collection has been made entirely out of pine. 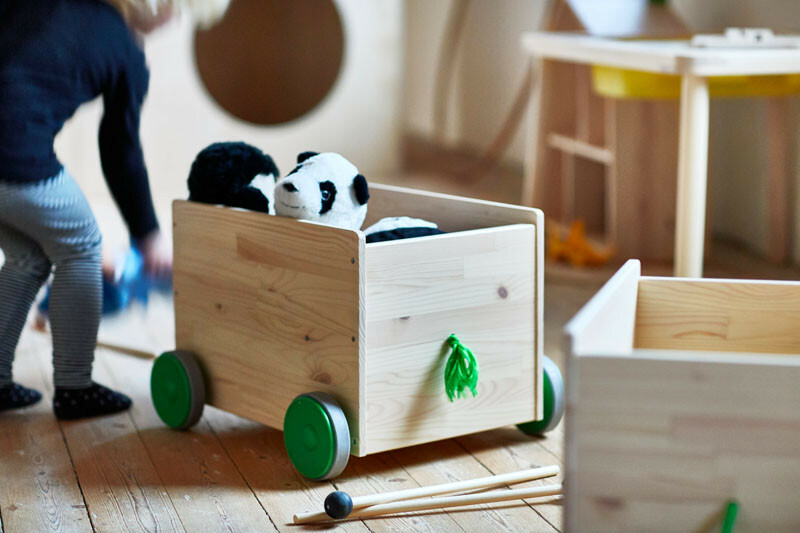 Some of the pieces have a pop of color like this little box with wheels.